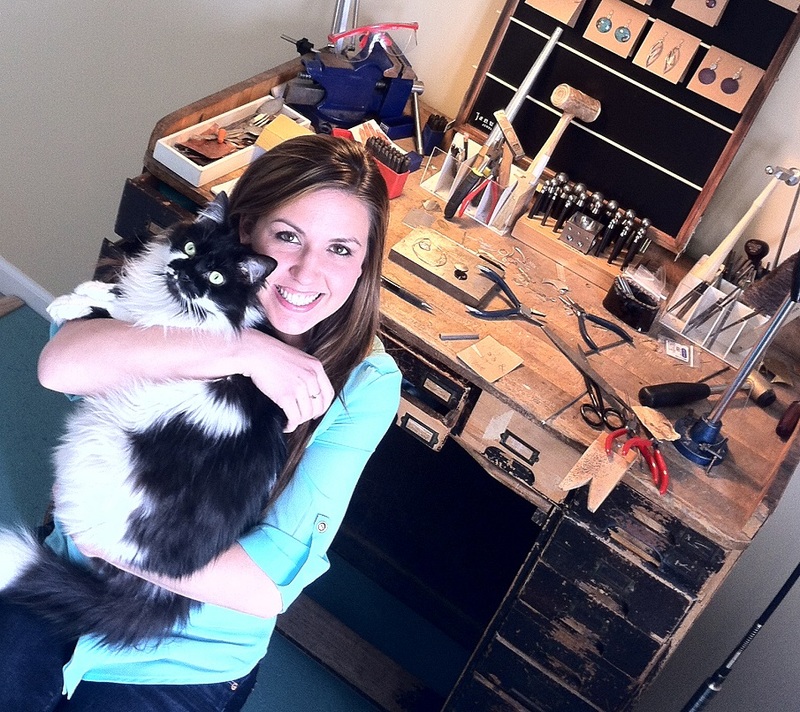 Melissa Giglio is a Metal Design Jeweler with her own line of fantastic jewelry, January Jewelry. She studied at East Carolina University receiving a Bachelor’s Degree of Fine Arts in Art Education and Metal Design. For five years she worked as an Art teacher for a charter school until her husband got out of the military and they relocated to Columbia, South Carolina. After the move, Melissa began to run January Jewelry full time. For a year and a half the business is booming and it is only the beginning for this enthusiastic young business owner. How did you get the idea for January Jewelry? My last name is pronounced ‘Jill-e-o’, but no one says it right. I thought Giglio Jewelry sounded lovely, but feared the mispronunciation. For that reason, I chose January because I’m born in January and I loved the sound of January Jewelry! What made you choose Metal Design as your Art major in college? I originally thought I was going to be a painting major because I loved painting in high school. College is very different. There are so many options: textiles, Ceramics, Sculpture, Printmaking, Metal Design—all things that I was not exposed to in high school! I fell in love with my metals class. The idea of fabricating something by hand…from sheet metal and wire…just fascinated me! I have a natural sense for design and shape, and metal design calls for that! The other half of my degree is in Art Education. What are some of your own personal favorites among your creations? Hard question! 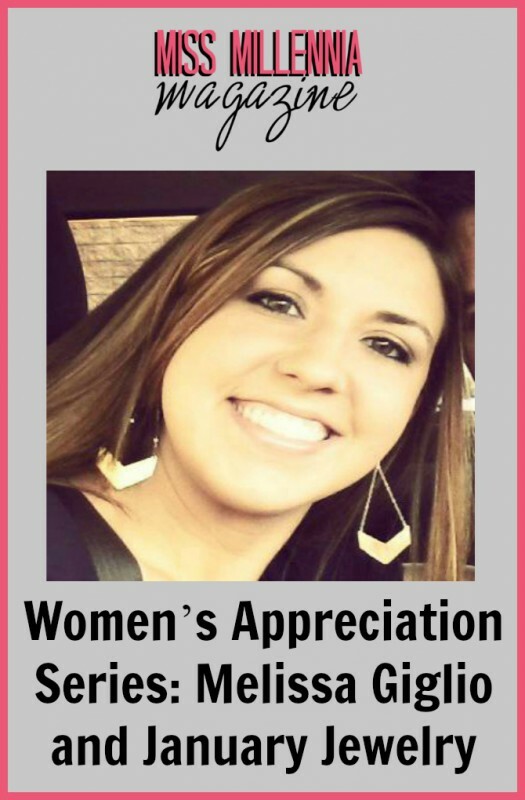 I love earrings, so the chevron earrings are definitely a favorite of mine! I also love nature, so the copper hand forged leaf necklace is another favorite! 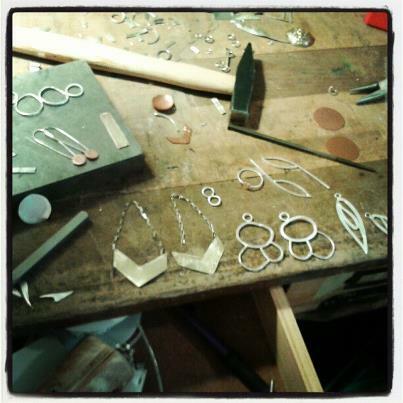 What do you take inspiration from when you create your jewelry? Organic and natural forms inspire some of my jewelry. Having an etsy shop; you want to create something beautiful AND popular, so simple trends (chevrons and arrows) have inspired my work as well! Is there anything you don’t like about running your own business? Keeping track of my materials expenditures. I have a folder…but it’s somewhat daunting to look at! I wish I took a basic small business class in college! What was the hardest part about starting your own business? For me, comparison. Theodore Roosevelt said that, ‘Comparison is the thief of joy.’ You look to other businesses like yours to gain inspiration and knowledge (which is certainly good to an extent), but if you twist it and compare yourself to where they are at…you will be disappointed with yourself! I would catch myself judging my ‘lack’ of success by comparing myself to other businesses. Don’t do that! Be YOU and work hard! Don’t be distracted by that mess! In hindsight, would you change any business decisions you made in the past? Honestly, no. I can’t think of anything I would have completely changed. You continue to evolve and learn while you grow your business, and you won’t even know what you want to change until you START! Opportunities will come, and you take them and learn from them! What is your dream business? In other words, what are you working towards professionally? Honestly, the sky’s the limit! Part of me loves the idea of picking up a bid through Urban Outfitters or something to mass produce my designs for example (who knows how that works, but one can dream). Other ideas blend the arts and teaching together and maybe one day I will own an arts center—where classes and galleries and who knows what exist there! How has choosing this particular profession changed your life? To rewind, straight out of college I became a K-8 art teacher. I have a passion for teaching art to children, but don’t necessarily miss the craziness of being the school wide art teacher. Moving and relocating mid school year and leaving my teaching job, allowed me to pursue jewelry making full-time and really grow my business! It has been a wonderful ‘change,’ and I have flexibility with my time! It made me realize that when you actually put 100% into it (I wasn’t when I was teaching)…you really can succeed! What advice can you give to young females striving and struggling to start their own businesses? START. I remember thinking everything had to be perfect before I started selling online through Etsy. No. Just do it. You literally won’t even know what to change until you actually START. Your business will evolve and you will constantly be changing things and learning things AS you grow. That is part of the journey with running your own business. Click here to visit January Jewelry Shop! Enter the code MissMillennia to receive 15% off your purchase!